Sunday Update: In what turned out to be a fairly close three-way race at the box office this weekend, Universal's Despicable Me 2 was ultimately able to hold off both Sony's Grown Ups 2 and Warner's Pacific Rim to remain in first. The blockbuster computer animated sequel from Illumination Entertainment grossed an estimated $44.75 million for the frame. That represented a very solid 46 percent decline from the film's opening weekend performance last weekend. Despicable Me 2 took in $13.4 million on Friday, increased 30 percent to gross $17.4 million on Saturday and is estimated to fall 20 percent on Sunday to take in $13.95 million. Despicable Me 2 has grossed a massive $229.24 million through twelve days of release. That total is especially impressive when taking into account that the film is far less expensive than most other high profile computer animated films. The film is currently running just 6 percent behind the $244.03 million twelve-day start of 2010's Toy Story 3. Despicable Me 2 is already the sixth highest grossing release of 2013 thus far domestically and will soon overtake Fast & Furious 6, Oz The Great and Powerful and Monsters University to move into third place. While it couldn't top Despicable Me 2, Grown Ups 2 was able to outpace Pacific Rim this weekend for second. The Adam Sandler led comedy sequel took in an estimated $42.5 million, which was towards the lower end of pre-release expectations. Grown Ups 2 opened 5 percent stronger than the $40.51 million start of 2010's Grown Ups, though as a sequel it is highly likely that Grown Ups 2 will be more front-loaded than Grown Ups going forward. Grown Ups 2 did lead the way on Friday with $16.35 million (which included $2.3 million from late-night Thursday shows that began at 7 p.m.), but fell 10.4 percent on Saturday to land in second with $14.63 million. The film is estimated to fall 21 percent to take in $11.53 million on Sunday. Grown Ups 2 earned a so-so B rating on CinemaScore, though with that said the film is clearly being received better by audiences than by film critics, which is typically the case when it comes to Adam Sandler films. The audience breakdown for Grown Ups 2 skewed towards female moviegoers (53 percent) and moviegoers under 25 (54 percent). Pacific Rim had to settle for third place with an estimated $38.3 million. The pricey Guillermo del Toro directed sci-fi action film opened in line with the wide ranging expectations for the film. While it met expectations, the film's start was nonetheless a soft one when taking the film's cost into account. It is well documented that pre-release tracking was soft for Pacific Rim, but mostly positive critical reviews and del Toro's built-in fanbase ultimately helped out the film. Pacific Rim was also helped out by a strong 50 percent of its grosses coming from 3D engagements and from $7.3 million (19 percent) of its grosses coming from IMAX engagements. Pacific Rim grossed $14.63 million on Friday (which included a strong $3.6 million from late night Thursday shows that began at 7 p.m.), fell 12.5 percent to take in $12.80 million on Saturday and is estimated to fall 15 percent to gross $10.88 million on Sunday. Pacific Rim opened 11 percent stronger than the $34.54 million start of 2008's Hellboy II: The Golden Army and 25 percent below the $51.05 million debut of last year's Prometheus. As a non-sequel based on an original concept, Pacific Rim is likely to hold up better than both of those films did. The film's A- rating on CinemaScore is also a good sign going forward. The audience breakdown for Pacific Rim skewed towards male moviegoers (61 percent) and moviegoers over 25 (53 percent). With Grown Ups 2 and Pacific Rim bringing in a combined $80.8 million and last weekend's grosses being inflated a bit by the Independence Day weekend holiday, holdovers in general took noticeable hits this weekend. Fox's The Heat took in an estimated $14.0 million to land in fourth. The R-rated comedy starring Sandra Bullock and Melissa McCarthy fell 43 percent from last weekend, which actually represented this weekend's best hold among wide releases. 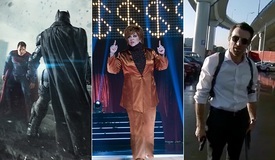 The Heat surpassed the $100 million mark on Friday and has now grossed a strong $112.36 million in 17 days. 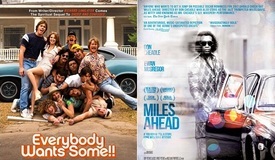 That places The Heat 19 percent ahead of the $94.34 million 17-day take of 2009's The Proposal. On the heels of last weekend's disappointing start, Disney's The Lone Ranger tumbled 62 percent and three spots to finish in fifth this weekend with an estimated $11.1 million. This weekend's hold was especially disappointing given that the film is skewing quite heavily towards older moviegoers (who typically don't rush out as fast as younger moviegoers). The expensive western starring Johnny Depp and Armie Hammer has grossed $71.10 million in twelve days, which is below expectations. The Lone Ranger is currently running 7 percent ahead of the $66.22 million twelve-day take of 2009's Public Enemies, though that lead continues to shrink given the poorer holding power of The Lone Ranger. Fellow Disney release Monsters University followed in sixth with an estimated $10.6 million, while Paramount's World War Z placed in seventh with an estimated $9.4 million. Monsters University fell 46 percent from last weekend and World War Z fell 49 percent. The respective 24-day takes for the pair of June blockbusters stand at $237.76 million for Monsters University and at $177.09 million for World War Z. On the platform front, The Weinstein Company's Fruitvale Station was off to a strong estimated start of $377,285. The critically acclaimed film and early awards season hopeful averaged $53,898 from 7 locations in New York, Los Angeles and the California Bay Area. Fruitvale Station will expand into additional locations this coming Friday. Going forward, Fruitvale Station will hope to capitalize on the relative lack of dramas to have been released so far this summer. Fox Searchlight's The Way, Way Back also had a noteworthy performance in platform release this weekend. The ensemble comedy drama took in an estimated $1.11 million from 79 locations, giving it a per-location average of $14,051 for the frame. The Way, Way Back has grossed $1.85 million through ten days of platform release. Saturday Update: Official Friday estimates put Grown Ups 2 in a close first place finish for the weekend. The flick hauled in an estimated $16.3 million yesterday (also including Thursday's $2.3 million sneaks). That beat the $14.4 million first day take of the first film back in summer 2010, and also marks Adam Sandler's best opening day (topping The Longest Yard's $16.18 million). BoxOffice's official weekend projection is $44.5 million. Illumination's Despicable Me 2 continued to rake in business despite the market's new competition. 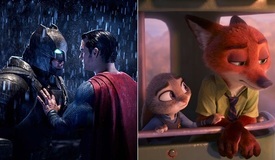 The Universal sequel banked another $13.4 million on Friday, increasing its domestic total to $197.88 million--about 12.8 percent behind Toy Story 3 and 16.1 percent ahead of Monsters University through 10 days of release (those two comparisons opened on Friday as opposed to Wednesday, though). 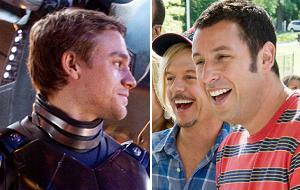 Expect a $44.0 million sophomore frame and close race for first with Grown Ups 2. Warner Bros. reports that Pacific Rim rang up $14.62 million on Friday, including its $3.6 million Thursday night previews. 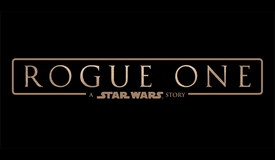 The overall Friday figure compares favorably against the $13.1 million and $12.1 million (excluding $1 million Thursday night previews) opening days for Cowboys & Aliens and Super 8, respectively, although it trailed Tron: Legacy's opening day by 16.5 percent ($17.51 million). While the film still has several hurdles to climb over in the long run, the good news for Guillermo del Toro's original flick is that word of mouth is healthy so far. 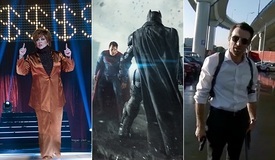 BoxOffice projects a $36.5 million debut weekend. Friday Update #2: Based on early grosses, it looks like Despicable Me 2 will hold on to 1st place this weekend with a sophomore haul north of $45 million. That would put Universal's animated flick at $230 million domestically after only two weekends. Pacific Rim is on pace to top Grown Ups 2. Both films are poised to open above $40 million, but Pacific Rim is looking at $43 million-$44 million and Grown Ups 2 is looking at $41 million-$42 million. With three films running this close, don't be surprised if the order switches by the time Sunday ends. Official studio estimates and updated projections will be released on Saturday morning. Pacific Rim definitely boasts better word of mouth than Grown Ups 2. Fandango users have rated the sci-fi flick as a "Must Go" option, and critics have rewarded Guillermo del Toro's effort with a 72% approval rating on RottenTomatoes.com. Grown Ups 2 is sitting at an 8% approval rating on RT, but it did receive a "Go" rating from Fandango users. Adam Sandler is one of the most critic-proof actors working today, so Sony can just shrug off the negative reviews. If anything, Grown Ups 2 could be hurt by families deciding to check out Despicable Me 2 instead. Sandler's brand of comedy is aimed partially at teens, but it's not safe for young children. Friday Update #1: Pacific Rim took in an impressive $3.6 million from Thursday evening shows, $835,000--or 23 percent--of that came from IMAX shows. That's a great start for the Warner Bros. release. The debut matches the $3.6 million that World War Z posted from Thursday previews before snagging an impressive $66.4 million opening. This doesn't guarantee that Pacific Rim will match World War Z's opening weekend, but it certainly does bode well. The tide has turned for the WB release in a big way. Grown Ups 2 managed a healthy $2.3 million from Thursday shows. That easily tops the $1 million haul that The Heat managed from Thursday previews. Sony needs Grown Ups 2 to be a hit after suffering two disappointments with After Earth and White House Down.